The causes of the problem in our homeland's educational system are many, most significant being: lack of resources -less available money due to low funding and systemwide corruption, which in turn lead to lack of good books, ineffective teachers, poor facilities (not conducive to learning), inadequate school supplies to facilitate teaching, etc. And add the important fact that an empty stomach in school does not aid learning. Why don't we have enough funding for public schools? There is no honest desire on the part of the government to provide more funding to improve the public school system (PSS). The PSS is not anymore a national priority from the time of the Marcos Dictatorship, whereby the decline and deterioration started. In addition, the Dictatorship needed the military and made sure the military gets more of the budget pie. This prioritization of the military has continued till today and will in the foreseeable future, with succeeding governments and politicians whose desire for selfish political/economic powers are insatiable and for pleasing foreign businesses (by suppressing labor and peasant workers). And corruption in the PSS continues unchecked and thus makes things worse. Marcos' successors -Aquino, Ramos, Estrada and now Arroyo- brought precipitous decline in the educational quality because of their desire to pay first the added debts they incurred/incur and odious foreign debts -which have compounded each subsequent year- as initially promised to the creditors by the naive and incompetent Cory Aquino in 1986, even if doing so deprives the impoverished populace of social programs, including education, despite her well publicized, lip-service on social concerns and medieval religiosity. 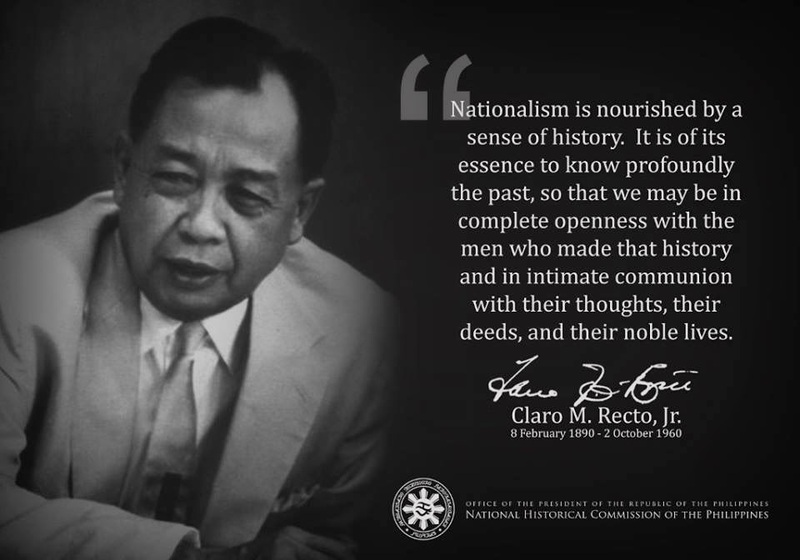 As to the present goals of the educational system: during the Dictatorship, Marcos followed the dictates and plans of the International Monetary Fund/World Bank/Asian Development Bank (IMF/WB/ADB) as to the direction of our PSS and educational system as a whole; that is, to provide cheap and trained labor to transnationals. Stressing only technical vocations, though practical since they put food on the table, will only lead to the "dumbing" of the new generations of Filipino minds; thus unable to comprehend their predicament (btw, even American youth is getting dumb) which in turn will lead to perpetuation of the present socio-economic and political predicaments. But now, the IMF/WB educational plan itself is messed up by the fact that by joining the WTO in 1995, thanks to the then Fidel Ramos/GMA tandem, manufacturing transnationals have shut down and/or moved out of the country to go to China and other lower waged countries (thus perpetuate the downward spiral in world labor wages), such is the logic of business/capitalism of maximizing profits. Therefore we are faced with trained technicians and college graduates, regardless of whether deserving or not, with much less available jobs in their chosen professions or studies. Actually there are few professional/non-professional jobs to begin with even during pre-martial law times, given the absence of significant industrialization. Furthermore, inspite of the fact that ours is considered an agricultural economy with a greater part of the labor force in it, even graduates of agricultural schools do not have much job opportunities since there are only a few companies, e.g. San Miguel, which are into agribusiness. Large landowners, who mostly are not entrepreneurs, do not go into nor want to invest in agribusiness (nor in the more risky investments of industrialization) and are actually part of the sociological obstables to economic progress and true national development. Nowadays, mere survival has become the paramount issue for most students, graduates and families -giving credence to Maslow's Hypothesis on the "hierachy of needs" (or simply common sense). Thus the schooled individual, "instructed" and not necessarily "educated", gets/takes a job (better chances if connected), regardless of whether he/she is thus underemployed, grabs any menial job abroad, swallowing all his pride at best and sacrificing his dignity at worst, and leaving the love ones. Not easily appreciated is the breakdown of the family which accounts significantly in the consequent deterioration of our society. Where poverty and impoverishment are the norm, gambling and alcoholic drinks seem to provide the unfortunate: the source of income they can not earn through productive and creative work; and the escape from realities for the moment. If I remember correctly, while I was at SMC's Corporate Planning Department, my bright economist-colleagues demonstrated this beer sales-financial hard times correlation. As how to change the educational system, I say it is naivete at best, ignorance at worst to even hope for reform. As in other national or local issues in the homeland, the people who wield influence and power, the ruling elite: aristocrats, politicians, native and foreign businessmen and corporations, military, do not care. Only a revolution led by a nationalistic leadership can make needed fundamental changes, including the educational system. Only a nationalist revolution, led by proven nationalists with the support of an informed, nationalistic coalition of the middle class and the impoverished can offer possibilities for such changes and without falling prey to insincere leadership that will rise out of the struggle. Whether the dwindling, educated middle class, which so far has only mimicked the ruling class that it aspires to be part of, can work with the impoverished is the big question. These may all sound rhetorical but that is where a deeper and serious analysis will ultimately lead one to conclude. To not do so, to see only the trees and not the forest, to scratch the itch and not remove the cancer, to treat the symptoms and not the disease, is not to address and uproot the real causes of the people's predicament and thus work correctly for the common good. To still believe and think that working through the present political-economic system to reform itself is to delude ourselves; as our 60 years of so-called independence have given us only a dwindling middle class and further impoverishment. To work within the present political and economic system is like exercising freedom within a cage. The deterioration of Public School System like any other government funded programs is a natural result of our self-serving gov't officials and politicians. Filipinos have no option but go overseas to find money to support the education of their children. All government services are draining quickly and steadily because funds are going to the pockets of gov't officials and politicians. We do not even know where taxes are going. Here in Australia tax revenue every year has around 5 to 8 billion dollars. Australian public schools are fully supported by the government. Each children in primary and secondary schools received 600 dollars every year aside from the "FAMILY TAX BENEFIT" they received every forthnight (or every 2 weeks). There are many other benefits as well I couldn't enumerate here. Medicare in Australia is superb. You go to a doctor for consultation and you don't have to pay for the consultation fee because it's already covered by the taxes paid. I have been thinking about the great discrepancy of living in Australia to that of the Philippines. The difference is CORRUPTION. There are few isolated corruption here in Australia but can easily be monitored by watchdog in the media and government agencies handling such cases. Well meaning Filipino would only say "IT'S A DISASTER TO LIVE IN THE PHILIPPINES". It's like living in a jungle where everyone must fend for themselves to survive. It will take a DISASTER to change the system. From the President of the Philippines to the lowest barangay official is corrupt. If a person is corrupt, he will corrupt any job he handles. And it's everywhere in the Philippines from the office of the President down to the market place and to the vendors in the streets. But I believe there are still few Filipinos with integrity and honesty, very few I think serving as the remnant of the land. But this remnant will soon be out once opportunities arise. Living a decent life in the Philippines is becoming an impossibility. I completely agree with your statements. And like you also have confidence that there are still decent people in the homeland; though voiceless. Rampant corruption in public offices, top to bottom is a symptom of disease: the disease of absent nationalism in combination with the disease of immature christianity/religion. Without being repetitive here, I just want to say that these have been discussed in previous posts. It may be tiring and seemingly hopeless, but we need to keep alive, to continue the discussion of fundamental issues that cause our predicament, especially to those who can not escape/emigrate, the uneducated, the impoverished. And hopefully, we can reach and help them gain an appreciation and understanding of "what's going on." You know, it grieves me to see what is happening in our country. I'm here in Australia but my heart is still in the Philippines. I can see and feel the great contrast of living here and in the Philippines and it hurts me more. I can only compare the difference in orientation of the leaders of Australia who are properly oriented to that of the leaders of the Philippines, PETTY & CORRUPT. I have also been in Japan for more than 3 years and the same difference can be seen. The Philippines as compared is somewhat 30 years behind in governance. As a Japanese friend who visited the Philippines would put it, 50 years behind. I always read through the news back there from the internet, and there are no good news. Politics are rampaging like a drunk person. I thought we were heading for a change after Marcos. It's even worse after the Marcos regime. What can we do? An individual like me who dreams of a decent and serene life in the Philippines feels helpless. It would really take a powerful person to change everything. I'm waiting for God to do that. And God like a gentleman is just waiting for the right time to strike and punish those responsible for wreaking the land. YES THERE IS NO PLACE LIKE HOME, and I am still dreaming of a good life to where I was born. Home is where the heart is. I may be away from my homeland but my heart stays the same, A FILIPINO. I believe EDUCATION should be on the top list of priority by the government. The maximum number of Filipino I believe is uneducated. The educated ones are going out of the country to earn a decent living. I believe there must be a RADICAL change in the government. We must have righteous leaders with integrity to govern and change the course of seeming destruction of the Philippines. There must be a change of heart of our wicked leaders to effect a lasting change. Everyone knows something must be changed. I believe it must start from the heart,...and God is in the business of changing the heart of a person. If the change of heart comes from God then it's a lasting change, because only by then a person becomes conscious of his accountability to God. What is your proposed solution to all the problems you have been citing?